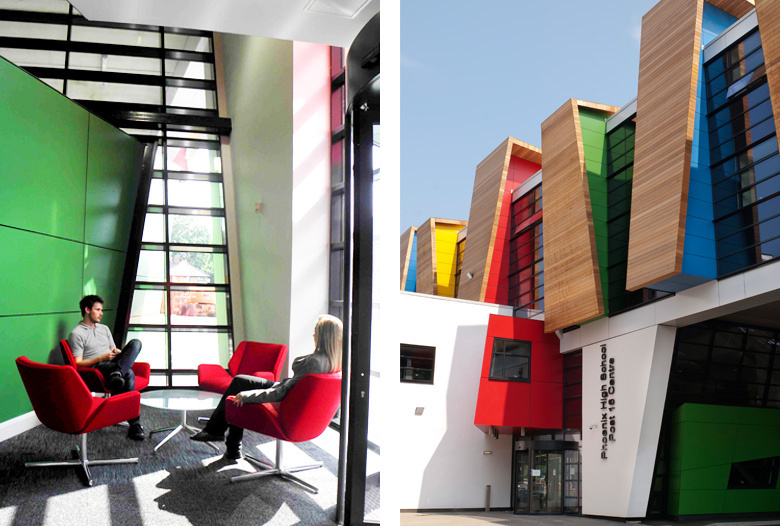 Eve Waldron Design won the FF&E consultancy for this new high profile Sixth Form Centre in Shepherd’s Bush, London. The practices’s fixed cost plan included space planning all the furniture and specifying items for procurement as well as detail design of custom joinery such as reception desks and built-in seating. Responsibilities covered all the specialist areas including the library, science labs, IT suites and equipment such as smart boards and mobile teacher pods. The practice worked closely with the architect Bond Bryan to select products, colours and finishes which co-ordinated and enhanced the building.